We'll just sit this one out. Once the pools close for the season, there's not much left to do but drain 'em. So why not fill them up with pet hair first, right? Also known as the Doggie Day Swim, this heartstring-plucking tradition returns on Saturday, Sept. 10. This year, dogs can dive in at both the Francis (2435 N St. N.W.) and Banneker (2500 Georgia Ave. N.W.) pools from noon to 4 p.m., according to a tweet from the D.C. Department of Parks and Recreation, the blog Prince of Petworth first reported. 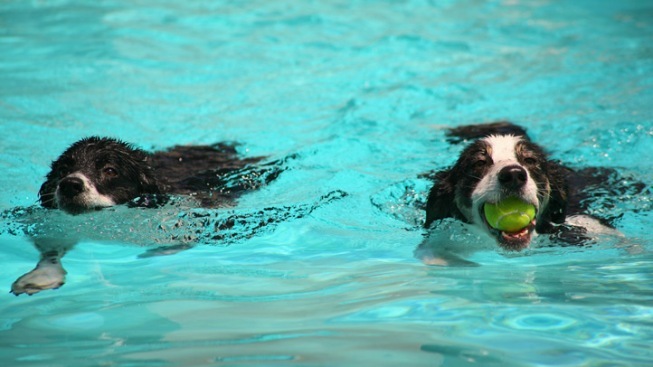 Dog handlers must be 16 years of age or older, and cannot swim or enter the pool with their dogs. Dogs must be sociable and remain leashed while on the pool deck. All dogs must wear current DC dog license; vaccination tags or have a current rabies certificate or letter from their veterinarian stating that they have received necessary shots in order to gain entry to the event. The DC Department of Health (DOH) will be on hand to monitor the health and safety of the pets and their owners. They will also provide outreach and education regarding pet vaccinations, dog licenses and dog park licenses.